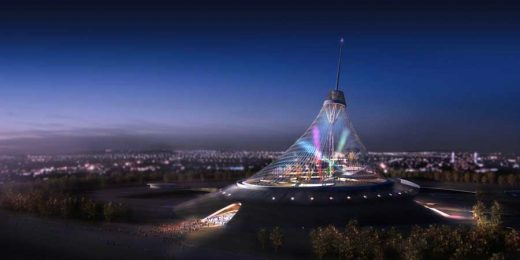 The main source of inspiration for the design of this symbolic national memorial to commemorate Kazakhstan were not politics or man-made modern structures. 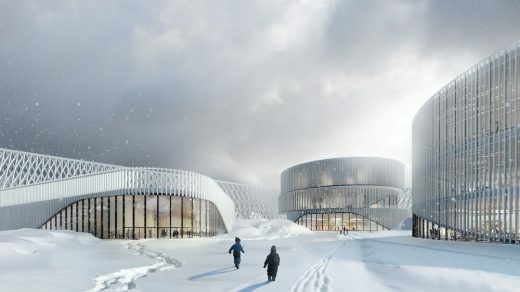 Instead, it would serve as a focus for highlighting the unique natural beauty of the country with its spectacular landscapes which are nowhere else to be found in the World and as place of belonging for the local and outside people. 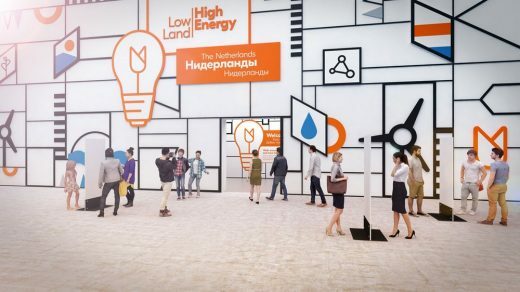 The expo is a prime opportunity for the former Soviet republic to make an impression on an international stage. 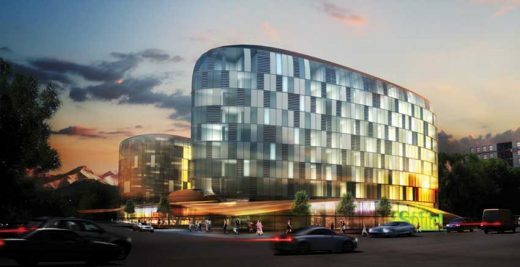 Split into two phases, the 174 ha project features exhibition and cultural pavilions (118,620 sm); a residential development (686,000 sm); service areas including shopping, socio-cultural, educational and civic facilities; parks (72,000 sm); and parking. The surprising design by Hypsos and Partner for creative services was decisive in this. 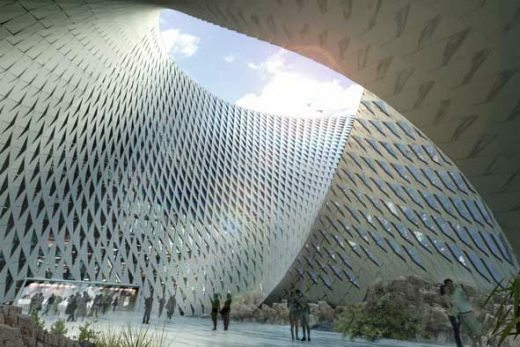 Under the leadership of creative director Melle Pama and his team at Expo Pavilion Group / gestalt, a distinctive and eye-catching pavilion has been designed. 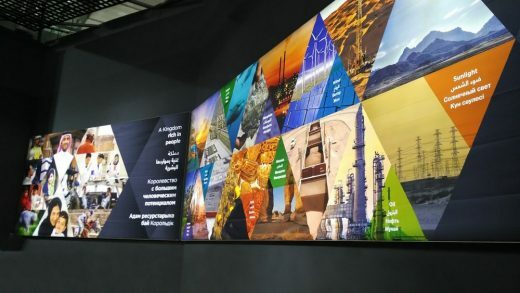 Hypsos was selected to fabricate and install The Kingdom of Saudi Arabia pavilion at the Astana 2017 Expo in Kazakhstan for K.A.CARE – King Abdullah – City for Atomic and Renewable Energy. 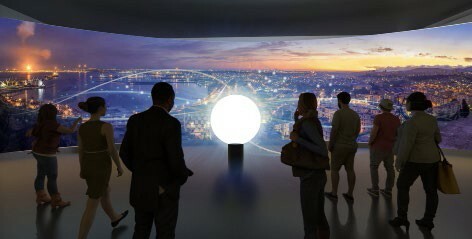 The highlight of the exhibition is the Main Show, displayed on a 14 meter x 6 meter curved projection screen, using 4 projectors and a 80 cm video sphere presentation. The two-tiered structure with a retractable roof was conceived as a large amphitheatre and can seat 33,000 spectators. It’s distinctive elliptical shape is easily recognisable and has become a landmark for the city. The shape of the Kazakhstan central concert Hall is similar to the typical Kazak instrument called “Dombra”. 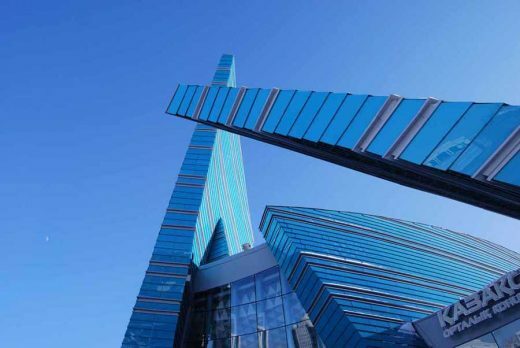 The internal multi-levelled piazza integrates with Astana’s system of public squares, while providing a space protected from the harsh local climate: a temperature range from -40 to +40 and salty winds. The auditorium is entirely clad in wood inside and outside. 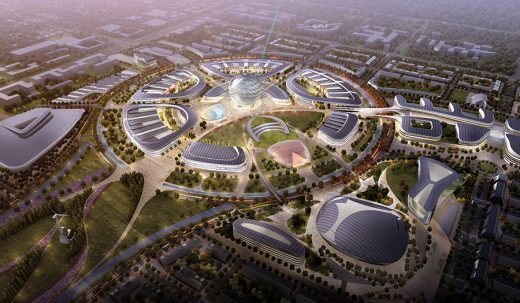 This architectural project is intended to provide a new civic focus for Astana and is situated at the northern end of the new city axis. The structure rises from a 200 metre diameter elliptical base.